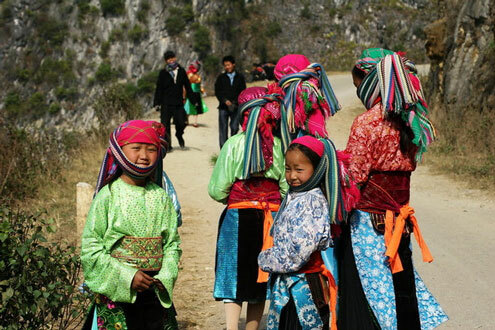 Little Vietnam Tours - Travel planning to the best places to visit in Vietnam and SE Asia. Private, customized, guided tours. Private, custom, personalized, guided journeys. 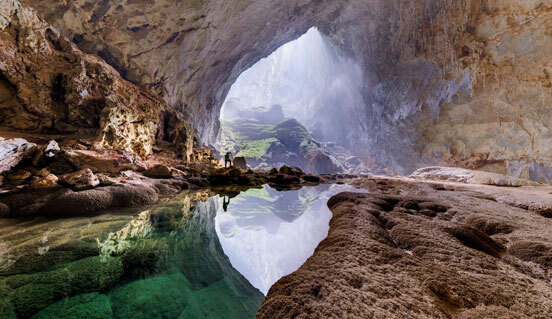 We know the best places to visit in Vietnam. We listen, design an itinerary just for you, plan & book the details so you spend every day exactly how you want, experiencing the best things to do in Vietnam. There are many good companies with many packaged tours that will take you to the highlights of Vietnam. But our goal at Little Vietnam Tours is different. You should experience Vietnam your way--our local Vietnamese expert will meet with you, understand how you want to spend your time, share our honest opinions and suggestions of the best places to visit in Vietnam, and plan your own guided Vietnam private tour for you and with you. Then we plan and book all the details--hotels, transportation, activities and many of the meals. 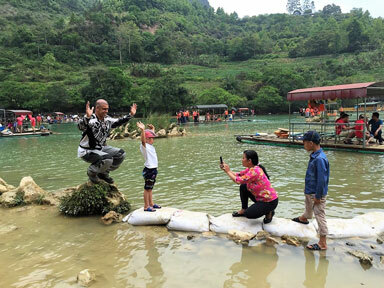 We'll also meet you personally when you arrive and are available throughout your trip to make sure your trip goes smoothly with all the things to do in Vietnam. You'll have your own private local guide, selected for his personality, wide knowledge and genuine enthusiasm. Informative, professional but down to earth with a real passion for showing you the very best places to visit in Vietnam. We'll design a personalized plan for you--you decide where you go, how you travel, the pace, number of days, type of lodging experience, food and drink experience, and how you want to interact with your guide. Check out the video for some Vietnam travel ideas! people who care. people you can trust. 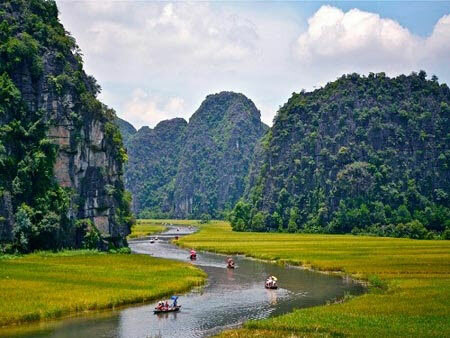 There are many companies offering tours and vacations in Vietnam. So why choose Little Vietnam Tours? Most simply, we care. We care about you truly enjoying your vacation or holiday and experiencing the country, not worrying about logistics. With 10 years of experience, we know how to translate your ideal trip into a well-planned custom itinerary you'll always remember. Check us out on TripAdvisor for our most recent reviews! We've only recently joined their listings, so our rank isn't that high yet, but each review stands on its own. 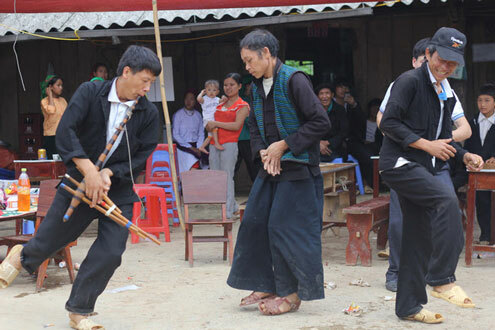 Experience the best things to do in Vietnam on a Vietnam private tour. 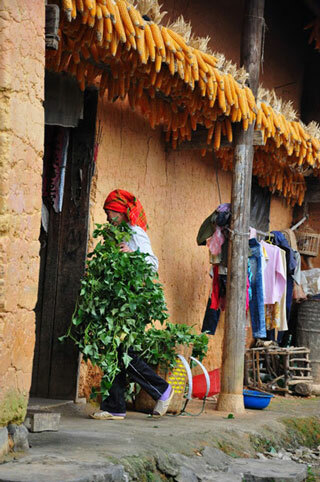 Real local life in beautiful remote villages in such as Ha Giang, or the more visited Sapa. 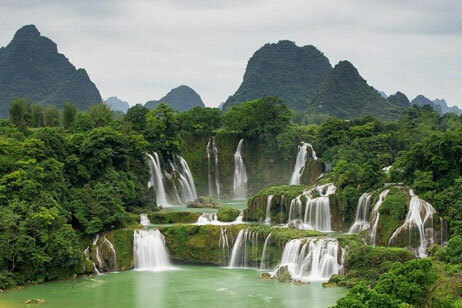 Ban Gioc falls, listed as one of the most beautiful waterfalls in the world. 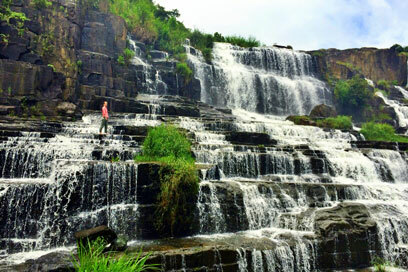 Pongour and Elephant falls in Vietnam's most romantic city of Dalat. 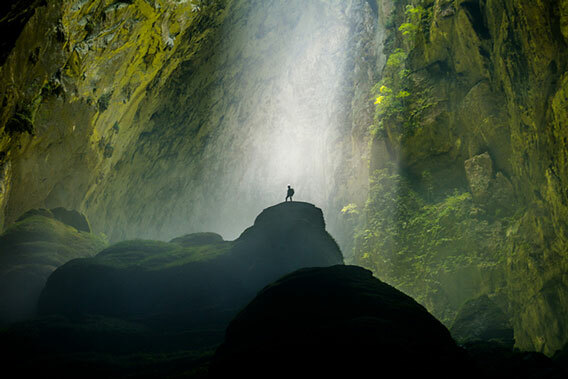 Amazing Son Doong cave, with the world's largest cross-section passage, only surveyed in 2009 and opened 4 years ago to very few visitors. 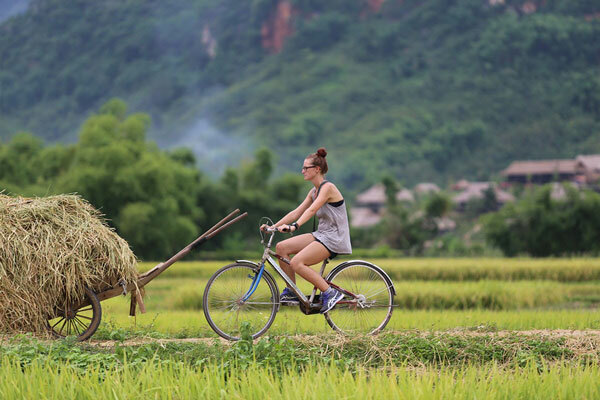 Bike through Vietnam's unspoiled countryside, and treat yourself to inexpensive spa treatments--every day if you wish. We know the best places to visit in Vietnam, and we'll take you there on your own Vietnam private tour. Cruise the natural beauty of Ha Long Bay, visit hill tribes villages of Sapa, historical temples of Hue, 1000 year old floating markets in the Mekong Delta, experience the culture, countryside & charm. Stay at extreme luxury resorts & villas in Nha Trang, relax on white sand beaches of Phu Quoc, romantic candlelight dinners on the beach, snorkel/dive the best coral reef in Nha Trang, pamper yourself at Danang's luxury spas. Search for Vietnam's famous langurs at Cat Tien National Park, bird watching & bird sanctuaries in the Mekong Delta, get off the beaten bath and into remote areas. We specialize in family tours and activities. Family travel in Vietnam can mean slowing down, enriching & fun activities for children, we know the best family-friendly hotels that make traveling with children better. 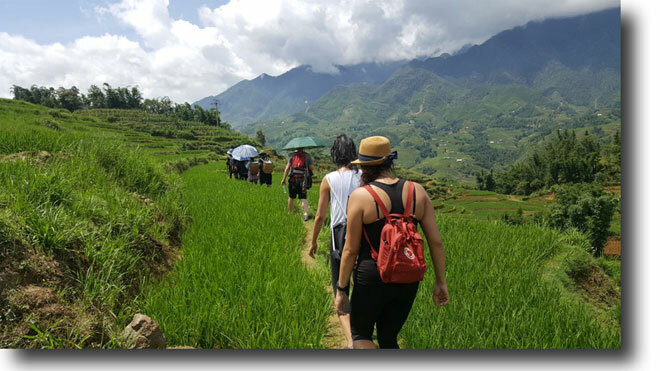 Hiking through rice paddies in Sapa, meeting hill tribe women in Ha Giang, kayaking Ha Long Bay, hiking Cat Ba Island, wandering the old quarter of Hanoi, have a beer on Bia Hoi corner, row a sampan through Ninh Binh. 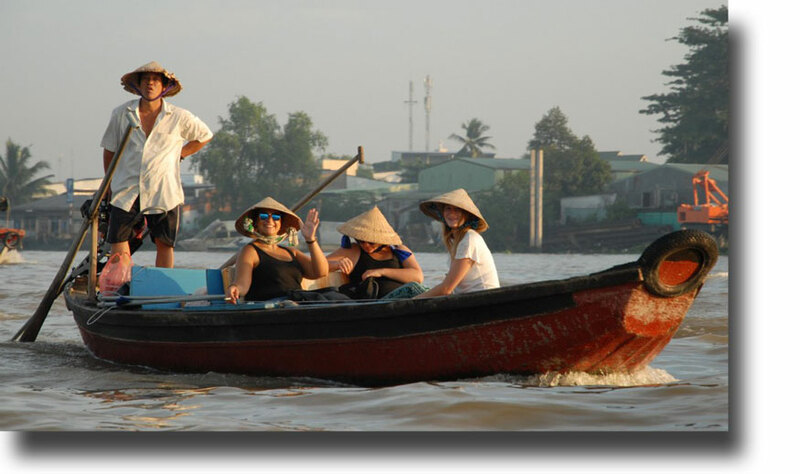 Street food tours in the Mekong Delta, try Asia's unique fruits, local food markets, cooking classes in Hoi An. Bun Cha, the best Pho, hot pot, Banh Mi, Che dessert, and Hue's renowned cuisine! Ready to see the best places to visit in Vietnam? Let us know what kind of trip you want to take, and we'll start building a custom itinerary for you for free. Send us an inquiry below, and our Vietnam expert travel planner will contact you quickly. 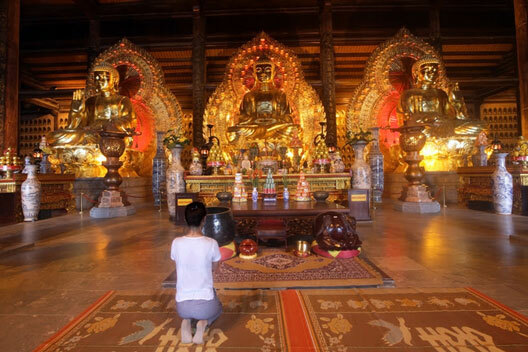 We personalize every Vietnam private tour based on your personal preferences. There are endless possibilities and options. When you choose to let us plan your trip, we'll book everything for you and make all the arrangements. Tell us what type of experience you want, how many days, estimated traveling date, how many people and ages of any children, what types of activities you are interested in, and your preferred level of accommodation. We'll get back to you quickly with no obligation. Classic sightseeing? Foodie? Family? Honeymoon? Relaxing? Off the beaten path? Adventure? Luxury resort, 5-star, mid range, "I'm on a budget", "I'll prefer to rough it"